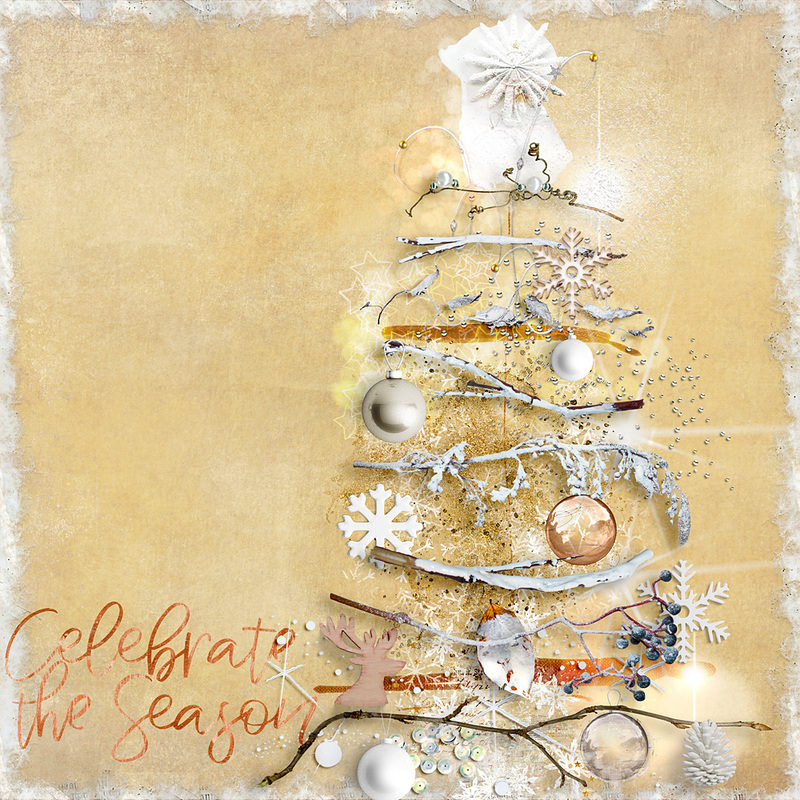 For my page I used the amazing collection White Christmas by NBK-Design, that is now available at The Lilypad. I played with the realistic elements and tried to create the shape of a Christmas tree, and then I added many sparkles and magic lights. Lastly, I made a border with a brush and applied a style from the Painter’s toolbox. 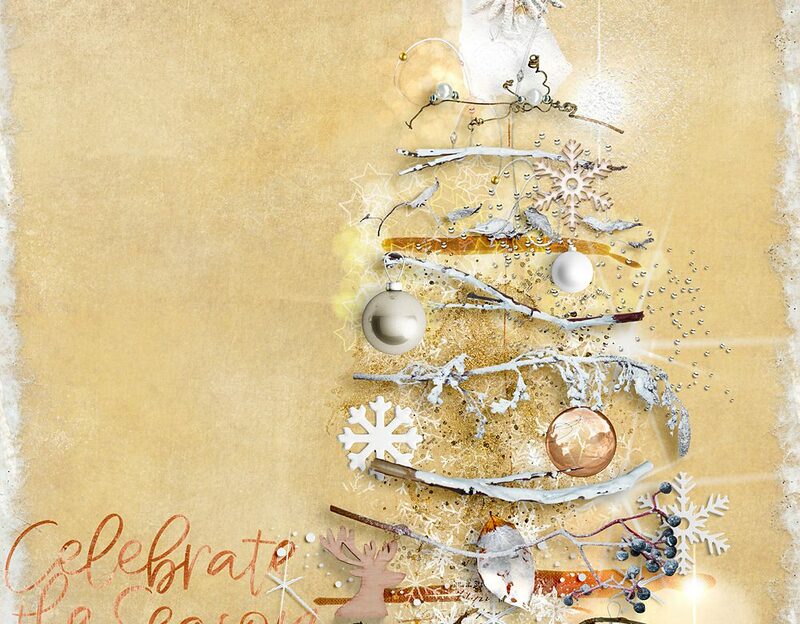 You can find White Christmas collection at The Lilypad. Be sure to check out the new option to buy individual packs or money saving bundles via a drop down menu.